Contact - Prayer for Healing - - Healing Scriptures . . . Prayer for the Sick . . . Christian Prayer . . . Miracle Prayer . . . Prayer Request . . . Healing School . . . Health Coach . . . Faith To Heal / Faith Healer . . Prayer for Healing - - Healing Scriptures . . . Prayer for the Sick . . . Christian Prayer . . . Miracle Prayer . . . Prayer Request . . . Healing School . . . Health Coach . . . Faith To Heal / Faith Healer . . Powerful Healing Scriptures when you need prayer for the sick, cancer, heart-disease, arthritis, MS, thyroid, depression, CF . . . Prayer requests and help when you need someone alongside to believe for the miraculous . . . Healing School . . . Health Coach . . . Training, resources, CDs, DVDs, conferences . . .
We are available to personally pray for people who need prayer for healing. We ask that, if possible, you (or the person who needs healing) would first listen to the material to build your faith for healing. Please click here for more information about Healing Ministry teachings and scriptures. This precious man had a crushed knee from an accident 20 years ago. His knee was pinned; the pins did not to allow any movement. The Lord removed the pins and restored his leg in less than a minute. Health Coach for Miracle Healing . . .
Do you need prayer for healing - healing scriptures - prayers for the sick? This Prayer & HEALING CD was inspired by God. 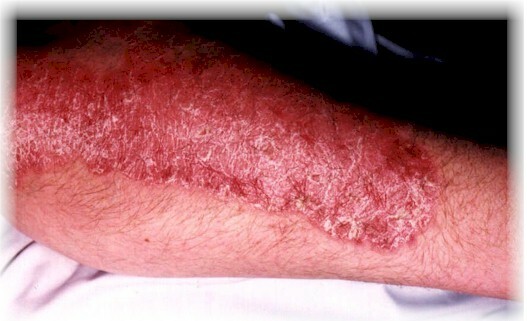 This man had psoriasis for most of his life. The photos are taken before the meetings and 3 weeks later. He was completely healed of this disfiguring disease by the Lord. This woman had hip replacement surgery and lost a few inches of her right leg as a result. The Lord grew out her right leg in less than 15 seconds and made it equal in length to the other leg. She was free of arthritis pain and able to walk normally as a result. WHY DOES RAFI HAVE SUCH A POWERFUL HEALING GIFT AND AUTHORITY TO MINISTER? Why aren't more people being healed? Here is a woman in Australia who had MS. She was normally in a wheelchair but could walk with the aid of crutches. After the initial prayer shown in the above photo, she was able to walk without assistance. Eleven days later she was totally healed and giving her testimony. This precious man, who had severe diabetes and a stroke, received from the Lord restoration of vision having been partially blind, restoration of sensation to his toes (which were scheduled for amputation), ability to walk without a walker and DANCE, and a new smile on his face for the first times in years. This person had been in an accident and had much hip and back pain plus a limp. You can see that his right leg is 3" shorter than his left leg. You can see the change that took place in these 3 photos in a matter of seconds, as his right leg grew out and became even in length with the other leg. Lucinda Reppert on WHY DOES RAFI HAVE SUCH A POWERFUL HEALING GIFT AND AUTHORITY TO MINISTER? rosemary on WHY DOES RAFI HAVE SUCH A POWERFUL HEALING GIFT AND AUTHORITY TO MINISTER? 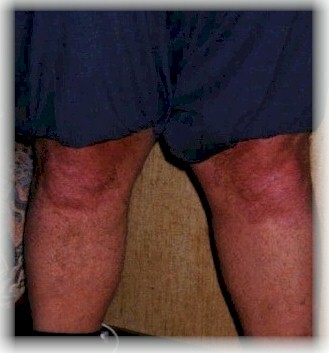 Healed of cataracts: Oct 28, 2010 "I realized I was having difficulty with my eyes so decided to go see my optometrist . On examining them , she told me that I had cataracts in both eyes and that I would have to have surgery in less than a year. She is a very good one , so I had no doubt about her diagnosis ! I asked the Cohens , Dr. Ron and Dr. Car ol to believe God with me for a miracle and that's exactly what I got ! When I returned to my eye doctor for another examination , she was very taken back by surprise and said that my eyes are GOOD and asked me ' What happened ?' Well, II was elated to tell her that God did it ! I have never been so blessed being under any other ministry as this one, Healing for the Nations ' ! Since coming under their covering , I have been experiencing much 'PEACE' from the Lord among many other things ! I am going to ask my husband to write the next testimony about the company he works for , getting heaps and heaps of work in the last few months ! It has been amazing ! I have heard other Christians questioning the authenticity of covering in the last few years , but there is NO doubt in my mind as to the effectiveness of this one that my husband and I have been under for the last year ! We are also very BLESSED to be connected to them because of their ties to Israel ! Praise be to the God of Hosts!" Blind eye healed. Today Oct. 22 Rafi again ministered and prayed by phone for people in Pakistan. This time 220 heard his message amplified to the crowd. Many people were healed, and one man reported he could read out of an eye that had been blind. Rafi will preach in Pakistan again by phone on Oct. 29. Oct. 10, 2010 "I am grateful to you for your love, passion and your precious prayers for our people in Pakistan.Many people have been healed by the wonderful Power of our Lord Jesus Christ through your message and prayer. Your message was very powerful and touched...changed and healed many lives and they gave their lives to the Lord our Savior Jesus Christ.There were 220 people and 33 of them accepted Lord Jesus Christ as their personal Savior and they will get Water Baptism. Brother Rafi, Can you send us Bible literature and Bibles for our people.We need 500 Bibles. Thank you very much for everything that you are doing for us and our ministry to advance the Kingdom of our Lord Jesus Christ." 5 people healed by phone!! Last Friday Ron ministered by telephone in PAKISTAN. His voice was amplified so that the 180 people attending the service in Faisalibad could hear him preach and teach for 1 hour. Pastor Bashir, who translated, joyfully reports that 2 people were freed from chronic drug usage, and 3 precious folks were set free of other maladies. Oct. 2, 2010 "Thank you very much for your message by phone for our people...There were 180 people in the meeting and God touched the hearts of many of them. There were two young brothers who had been taking drugs for many years but all Glory to His Great Name that He changed them during your delivered message by phone. God healed them and they accepted the Lord Jesus Christ as their personal Savior. There were 3 women who got their healings and one of them was a patient of Sugar. All of them want that you speak to them and pray for them every Friday." Sept. 12, 2010 "I received great healing and deliverance when Dr. Cohen taught on rash utterances and generational curses. He apologized for what all men have done. I cried like a baby. I was healed from old hurts." Sept. 2, 2010 " On August 31st, in the afternoon, I was sitting talking with Dr. Carol. I had been having pain in my neck like it was out of alignment and I prayed for healing personally for it. Right then I heard it move back into alignment and I feel better with no pain. Praise the Lord!." Rafi himself recently experienced a dramatic healing. Last year he noticed his vision in one eye deteriorating quickly. Also the colors were getting darker and darker with a round blind spot in the middle. The change took place over a 3-week period and was alarming. The deterioration was so rapid he needed new eye glasses and still could not see well in one eye. The doctor suggested an MRI. Rafi declined and prayed for a gift to minister healing to eyes, and we asked for that to be applied to his own eyes. During the past several weeks his vision has improved.. so much that the glasses he has cause very blurred vision. He went back to the eye specialist who examined his eyes. 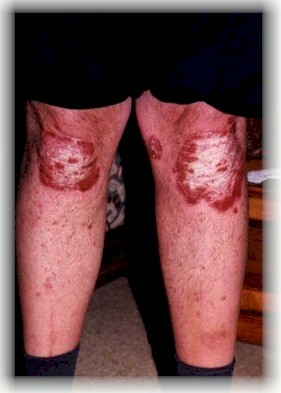 The doctor said that he had never see anything like this... a condition like Ron's turn around... it must be a miracle. Roni's eyes are now BETTER THAN 20-20 and better than before the problem arose!. A man in his mid-40s was slumped over and appeared to be sleeping during the service as Ron preached. After the meeting Ron asked him if he would like prayer. When the gentleman stood up he was hunched over and his left side drooped down. He walked with a big limp. He said that he had not been asleep, but he was in so much pain that he was going in and out of consciousness, even though he was on pain medication. He reported that he had just had a tumor removed from his left adrenal gland. To do the operation, the surgeons removed a left rib to get in. He also said he had recently crushed his right foot in an accident, breaking bones in the foot. Ron noticed his left arm looked much shorter than the right arm because of the rib and shoulders. After prayer, the arm came out, the shoulders straightened out, the pain left the upper part of the man's body, and he could immediately raise his arms straight up. Then Ron prayed for healing for his legs. His right leg looked much shorter than the left and it was very painful to the touch. 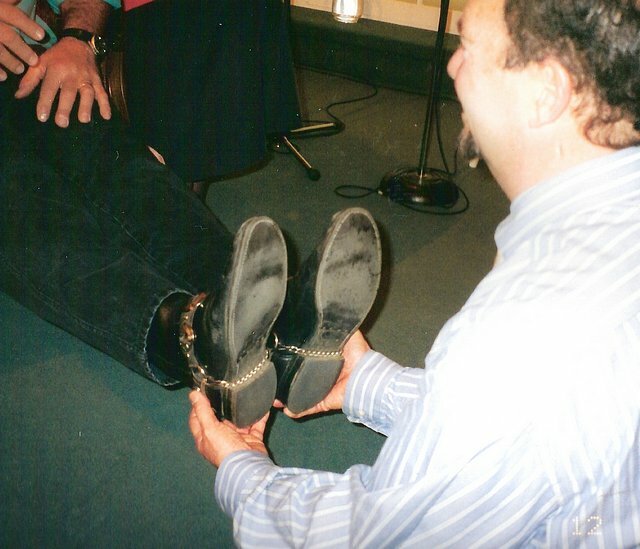 After prayer, the man's short leg came out, his foot seemed to adjust and get healed, the pain in the lower back went away, and his spine straightened out. He immediately stood up and was able to briskly walk around the room. Everyone who knew him was astonished, and many began weeping and praising God, especially his immediate family. He could touch his toes, which he hadn't done for a long time, and walk without a limp with shoulders straight and level and his head back. Then he was able to run around the room. At that point many people in the room rushed forward for prayer for cancer, diabetes, thyroid conditions, heart conditions, etc., and many reported they received and believe they were healed by God also. This CD audio carries a supernatural anointing for healing from God. It will help build your faith to receive healing! April 25, 2010 "Body healed, back, cancer...He taught me new things." Nov. 8, 2009 "I had a condition for which I was told there was no cure, and which the doctors said would cause pain and a measure of disability for the rest of my life. I hadn't sat down or slept in my bed for 8 months because both activities caused muscle spasms. I used a cane or walker when navigating out of doors, had to lie down when being transported in a vehicle, couldn't lift a jug of milk from the driveway to the house, had significant difficulty bending due to muscle spasms in the pelvic floor and had a painful abdominal distention. I used a long handled 'grabber' to pick-up items from the floor. The severe spasms weakened the muscles of the pelvic floor and caused a bladder prolapse. I was taking 900mg of Gabapentin a day to down regulate pain signals related to a nerve entrapment. I spent a great deal of time each day doing muscle releases to keep muscle tone down, and couldn't even slightly tighten either my abdominal or pelvic floor muscles without precipitating a cascade of spasms. Because my condition was getting worse, my future ability to stay employed and to live independently in my home was being challenged. I didn't feel anything at the time when I was prayed for on Oct 3rd, by both Ron and Dr. Carol, but in the days that followed, I noticed that I was getting better. I went to a return appointment at the Chronic Pain Centre to see a specialist on Oct 6th, and both the specialist and resident doctor acknowledged that I'd had a miracle healing. The specialist told the head nurse of the team to which I'd been assigned, that I'd had a miracle healing, and she called me the next day from the Centre to get the Cohen's name and contact information. By the end of the first week I was off all of my pain medication and not using either my cane or walker. I've since walked a couple of miles without any difficulty. I can sit down and am sleeping in my bed, can wear high heels, carry my groceries, do yard work and am presently working out on exercise equipment. I couldn't be more thankful for being delivered from a future being in long term care. The worship in the meetings was very wonderful, and the sermon series by both Ron and Carol have changed my life forever. I use the concepts that they taught us in my daily prayer life. I had the opportunity to see both Ron and Carol outside of the meetings, and found them to be very sincere in their devotion to the Lord and to people. They are true treasures and it's been a blessed privilege to meet both of them. The beauty of their lives continues to minister to me when I reflect upon the conference." Oct. 5, 2009 "I've been on drugs for about 12 years....My sister who had cancer was healed of God two months ago. I just want to give thanks to you two and and to God. Thank you." Oct. 5, 2009 "There is so much to say!! The day before I learned of you, I experienced a total divorce from my husband. I was broken-hearted and did not fully know the Lord. Ron & Carol, you dropped a flier at my Mom's Store... She gave me the flier - I knew I was to come! You did minister on the broken-heart and womanhood! The whole experience has been beyond words. I come from a New Age background and the Lord has fully come upon me. I asked to know the "truth" and He has shown me...."
Oct. 5, 2009 "In 1996 at downtown Calgary through the Grace of God and Ron Cohen's ministry team I received a powerful healing of my lower back. This injury [had been] confirmed as a herniated disc by medical professionals and it was suggested I have surgery. I was a nurse at this time...."
Oct. 5, 2009 "Carol prayed for the return of all the pieces of our hearts - I was so blessed with the spirit of joy. The teaching was so enlightening. I have never heard this kind of teaching. Also Ron prayed for my arm and it grew probably 2" about 3 times then leveled out - Amazing. Thank you, Lord." Sept. 19, 2009 Pastor Gary Pridgeon told us that a woman was healed of a brain tumor during meetings we held at his church last year. "My heart and soul felt clean from the womanhood ministry. Thank you Jesus for using Ron and Carol Cohen as a window to see your healings." "So wonderful...I could see a heart broken and then made whole.....I believe I was restored and cleansed. I feel clean and whole and beautiful. I believe I can now receive all the Lord has for me. HE did it!" "When we were doing the restoration for women, I was very much ministered to...Yesterday God pulled so much out of me and shook so much off me that I feel like I am cleaner, and like a new person. God is awesome!..." "To have the men of our Church line up to affirm and lift up the women of this church was such an AWESOME experience. My 11 year old daughter experienced such an acknowledgement... She was able to see what a real man, a Godly man, is and what she should look for in a husband. It opened up a divine moment for her and me... ."
"The women's ministry is awesome...Although I am a man I was also released [at the workshop] from the sins that we as men did to the women. I am looking forward to the men's ministry. Thank you Lord and thank you Pastor Rafi and Carol Cohen." "I've been set free from doubting in the love of God for me. I've had problems & have struggled with "knowing" His love. When I fail Him in any way I would feel like He didn't love me & I had to work myself up to believe. I was hard on myself when I felt like I failed Him. Jesus spoke to my heart and said, 'I live you unconditionally. Quit being hard on yourself. My love is unfailing & steadfast.' Thank You Jesus, for freedom! There's power in the blood.!" "Your oneness in marriage is in itself a ministry (without a word spoken directly about it). The body of Christ needs to see this.....Thank you for equipping our men to minister one on one to the women,... God has made a rich deposit in the men, and you helped to bring it forth." Aug. 2, 2009 "The ministry of Rafi and Carol is very vital for the Body of CHrist today. Their ministry has addressed major issues in my life and brought resolve and empowering for me to be more than an overcomer. Each time they come to minister they bring healing to another part of my life. I am deeply grateful for their loving and caring hearts to broken people." July 19, 2002 "Ron Y su esposa son muy usados por el Senor en muchas naciones...han sido de mucha benedicion para nuestro ministerio. Tienen una uncion muy especial para la sanidad de la mijer en forma integral (espiritu, alma, y cuerpo) de la igual manere en el varon, traumas, heridas profundas de alma, quebrantando maldiciones territoriales, generacionales y mucho mas." "Not only was I a yogi for 20 years ...but...[my husband]...found me through the New Age and Yoga connections ...He was a long time devotee of Sai Baba of India! He lived at the ashram and massaged the guru's feet... .he has been tormented with many spirits since leaving India, and needed much healing -- I listened to your tape...and we had a fantastic deliverance! It was like the missing piece! Your testimony not only gave me faith and anointing -- but you mentioned a very specific demon, Shakti, which we had not yet delivered....Oh, the glory of God as we entered in to all He had... last night! He commanded that ...thing to leave in the name of Jesus -- and it left!!! ...afterward he felt so free, he could have praised God all night long! Thank you for your faithfulness! Thank you for coming to Charlottesville! ...Thank you for celebrating with us that God always has more for us!!! More healing and more love and more of Him!" June 25, 2009 Rafi met a woman today who was on disability from back injury . She said she had 6 back surgeries; that several of her vertebrae were still fused, and that stitches ran down her spine. One foot was partially paralyzed so she could only walk with difficulty. Rafi prayed for healing for her and her right leg grew out 1 1/2 inches,. She said she felt the pain in her back leave; the part of her left foot that was paralyzed began to function. Her left arm and shoulder were also touched by God healing. She went up and down the front steps of the house where they were many times, rejoicing and stating that she felt completely different. Her 2 children who accompanied her, saw an immediate improvement and were overwhelmed with joy for their mother. "God did a miracle on my feet. 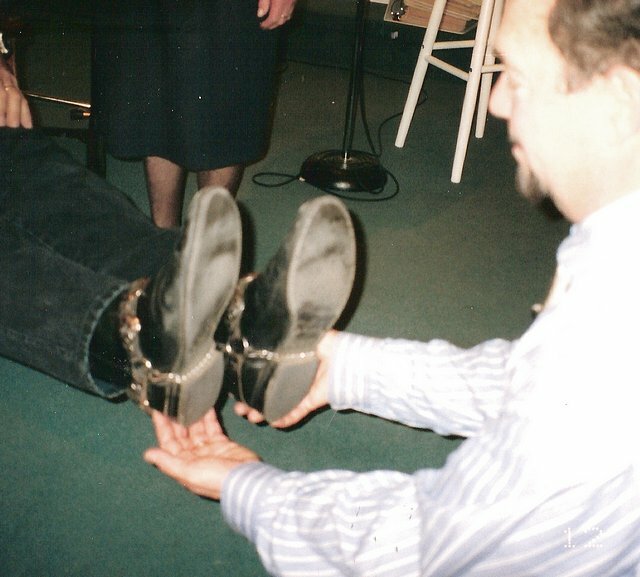 He restored my feet from bunions..."
God touched "an arm broken long ago." "Tenia un dolor en la espalda debido a desperfecto en mis pies, pero el dolor fue sanado completemente poe El Senor Jesucristo." "Senor, gracias tedoy, por mi sanacion de mi palador y mi olfato." "Within 20 years I have been in 6 car accidents, each time I was rear-ended. At age 50 I lived in chronic pain: migraines, neck & back pain, carpel tunnel, shoulder & arm pain. Also knee pain. Today I felt the touch of Yeshua in a mighty way...I could feel a deep touch internally...I feel such a release...the pain is not present..."
"I experienced great Light and great freedom...abundant love and joy..like the Lord poured pitchers of His grace, love, and healing into me..."
"The Lord's burning anointing was all over me...I felt His healing in my body and eyes. ..I feel great and believe my diabetes, blood circulating problem and eye problems are heal;ed." May 2009 The following report was recently given by a woman who said she was healed at a meeting Rafi led in 1999! She stood up at a Conference that we were holding in Canada in May 2009 to tell people how her miracle happened 10 years ago. She said she wanted to encourage those in attendance that God does heal. 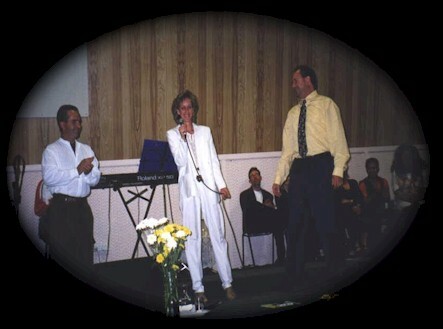 "At the Rafi Cohen Meeting in Campbell River Feb. 27, 1999 God healed my heart. The doctors had told me a few years ago that part of my heart was enlarged and that in 10 years I would probably be on the operating table. So at the healing meeting I went up for ministry when Rafi gave a call for people with heart problems. I fell backwards under the power of God and I had the thought in mind 'I have healed your heart.."...Then I went to my own doctor a few months later for another xray. I asked him to look it up on the computer, and he said my heart was NORMAL.. Praise the Lord." "We met Rafi in 1999 at Kings Way, Pismo Beach, CA. His testimony & teachings turned us from a life of darkness into eternal light. Praise God and blessings over you and your ministry." "I came in with sore throat and cough. I have no more pain or cough when I left." "I asked for prayer for my arms. I've had 10 surgeries in my arms and problems in my stomach. I was prayed for and immediately my stomach calmed down. He began to pray for my neck & spine & already my legs became even & my neck & lower back feel better. I didn't know there was problems in my low back." "My family and I were in your service in Calgary years ago, and my young son received an amazing miracle of healing of a badly curved spine and short leg. He had trouble sleeping and sitting and now he is...[able to spend his whole day sitting and working]...at a desk. I had been under a severe emotional torment for about 25 years, from childhood sexual abuse and was instantly delivered from the emotional torment when you created prayer lines for 'women with women'. I had also been going for therapy for years for severe fibromyalgia, and, in a different meeting (yours),was instantly healed. My youngest son didn't receive a miracle at the service, but he came away with a belief about our position of having been healed 2,000 years ago on Calvary, and later that night he commanded a growth to fall off. In the morning it was lying on his bed. He told me, "Mom, you don't ask the Lord to take it off, you COMMAND IT!". We were in a cloud of Glory for over a week after the service." "The Lord got a lot of mileage out of the miracle of the straightening of my son's back, and the lengthening of his leg. He was attending Christian school, and when he testified to the principal about the miraculous healing, he announced it at a meeting with all of the school's teachers, and each teacher, then, took word of the Lord's hand to the entire student body. At recess, children came up to my son to ask him what it felt like to experience such a healing." "When I had brought my son forward that night for prayer, I wanted to lift his shirt at the back so that the Dr. could see how bad the curvature was and he dismissed my attempt, and said, "I don't need to see it". He touched his back and just said "Name of Jesus, Name of Jesus" in a hurry as he moved on quickly from us. I thought to myself "You didn't pray long enough!" and I feared that I'd lost my opportunity to get a healing for my son. I didn't even check his back to see if it were healed because I didn't believe that he could receive a healing from such a hurried prayer. You later prayed for my son's leg, and I saw it grow out with my own eyes. It wasn't until we were climbing the stairs after returning home from the meeting that my son said, "Mom, something's happened to my back!" The family stood around as I lifted his shirt and we found that his spine was completely straight. My son said "this goes against everything I've ever learned about the world". "I was deeply grateful that both of my sons received a powerful touch from the Lord before entering their teen years. Both of them have walked morally "as straight as an arrow", and I'm convinced that their personal encounter with the power of God in their youths played an important part in shaping their direction in life. I still have the written material you handed out that evening." 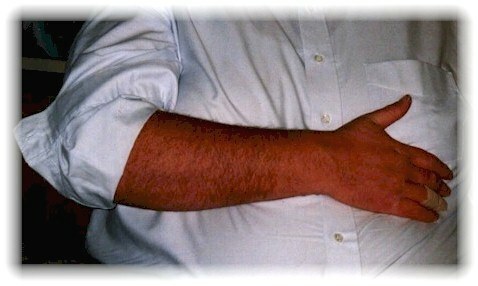 Oct. 2008 We ministered in the Sacramento, California, area for about 10 days. We are now getting reports of many supernatural healings: a lady who was infertile just got back her postive preg- nancy report! The couple is jubilent. A man says he was healed of heart disease; a couple people of arthritis; several big emotional issues were healed in individuals: we could all see them change before our eyes...one was an ex-pilot suffering from trauma. We also felt the Lord touch a lady with MS. We are waiting to hear what her report is. At Rafi's prior meeting in Sacramento last spring, a child's cross-eyes were made straight ...the child at first couldn't figure out why her glasses weren't working...then she took them off, and could see fine. "During the Healing Crusade, I went t Pastor Rafi for pain in my lower back. The first thing he asked me was to sit up straight in a chair which I did. Unbeknownest to me, one of my legs was about one inch shorter than the other. ... In a matter of what seemed like one minute I witnessed, along with many others, my leg grow right out before my eyes. It was a beautiful experience I will never forget. Praise the Lord for my healing!" Aug.26, 2008 Dr. Carol asked 3 prayer partners to pray for a college student who has had a mental block in a math course. He has not been able to understand his professor's lectures, the textbook, or a tutor as recently as yesterday. His tutor felt he was headed for failure. Today, since prayer, his tutor -thanking God!- now reports that suddenly the young man is totally changed in his learning ability, understands new topics very well, is acting like an "A" student, and even catching the tutor in some errors! Aug. 20, 2008 Dr. Carol felt impressed to join together in prayer for the mother of a ministry volunteer who had a stroke that morning. The volunteer was planning to immediately fly to the midwest to help care for her mother, who was unconscious. The same evening, when the volunteer was making flight arrangements, she got word that her mother was now fine, and that there was no need for her to visit. She rejoiced greatly upon receiving the news. Aug.8, 2008 At a worship service at the home of Rafi & Dr. Carol, a young woman who attended reported she suffered from thyroid cancer, fibromyalgia, lethargy, and depression. She received ministry as God moved strongly among us. The following day, and again the following week, she reported great change in her health and well-being. She believes God touched her with healing. 2004 A young woman and her mother attended a time of worship in the home of Rafi & Dr. Carol. The mother told us that for years this lovely teen had suffered from a hemophilia-like disease. She had gone through surgeries and many medical treatments to no avail, and lived in constant danger of death if she had an injury that would entail the loss of blood. She received ministry. Several weeks later the mother reported with joy that to the doctors' surprise, her daughter was now free of the disease. She currently is an honor student in college. With spectacular music by the London Symphony Orchestra.